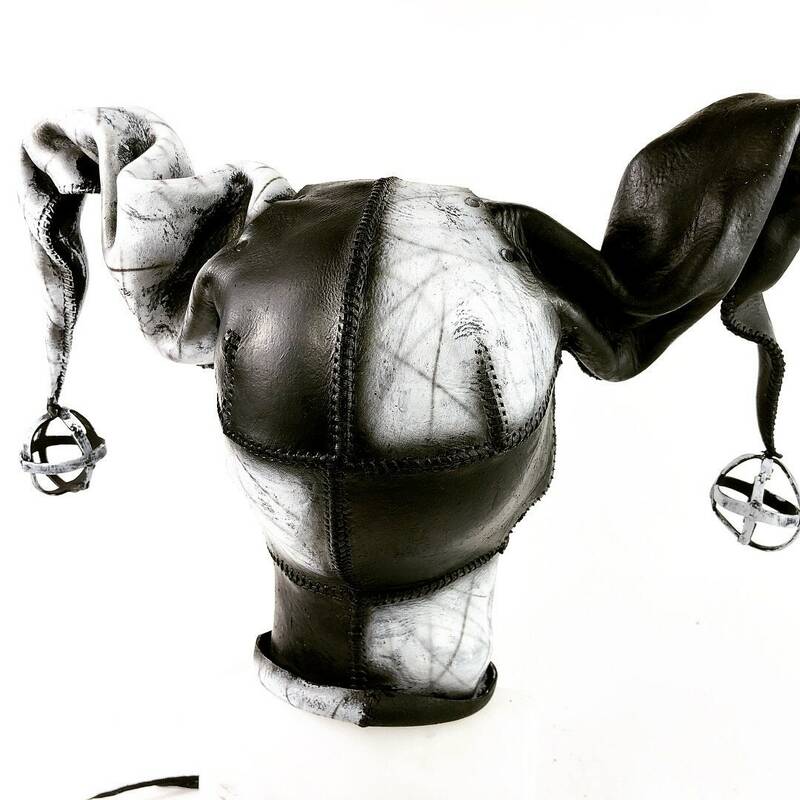 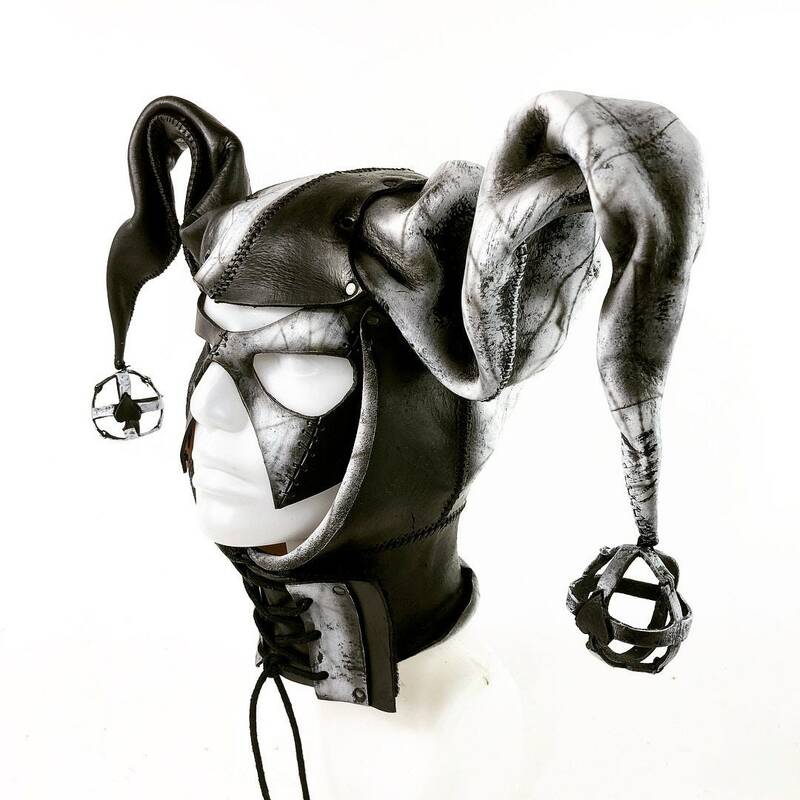 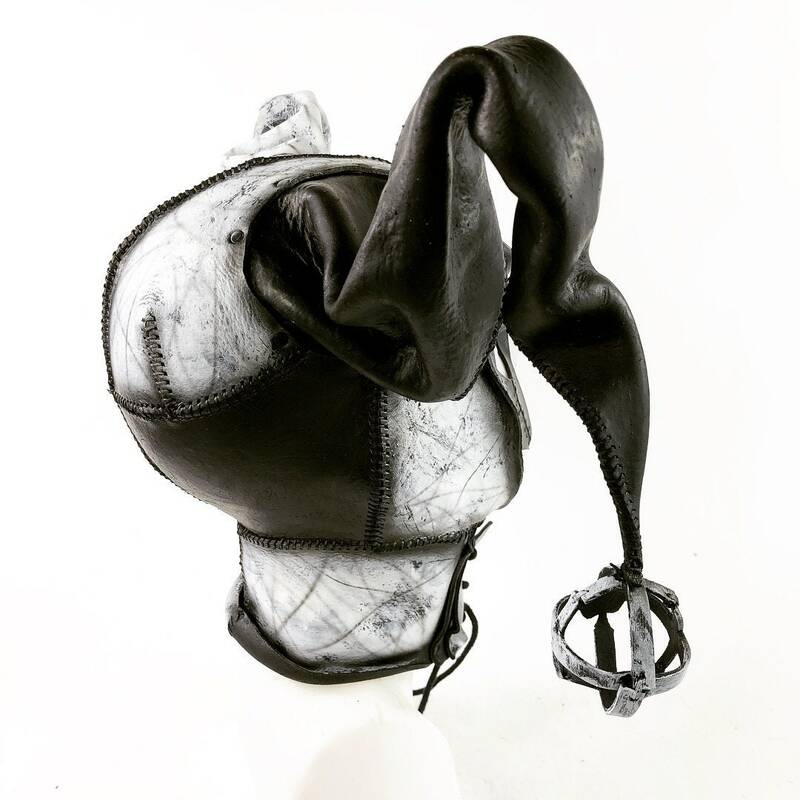 Playfully dark, mysteriously fun - this jester mask is hand stitched and shaped to a rigid form to maintain original aesthetic after extended use. 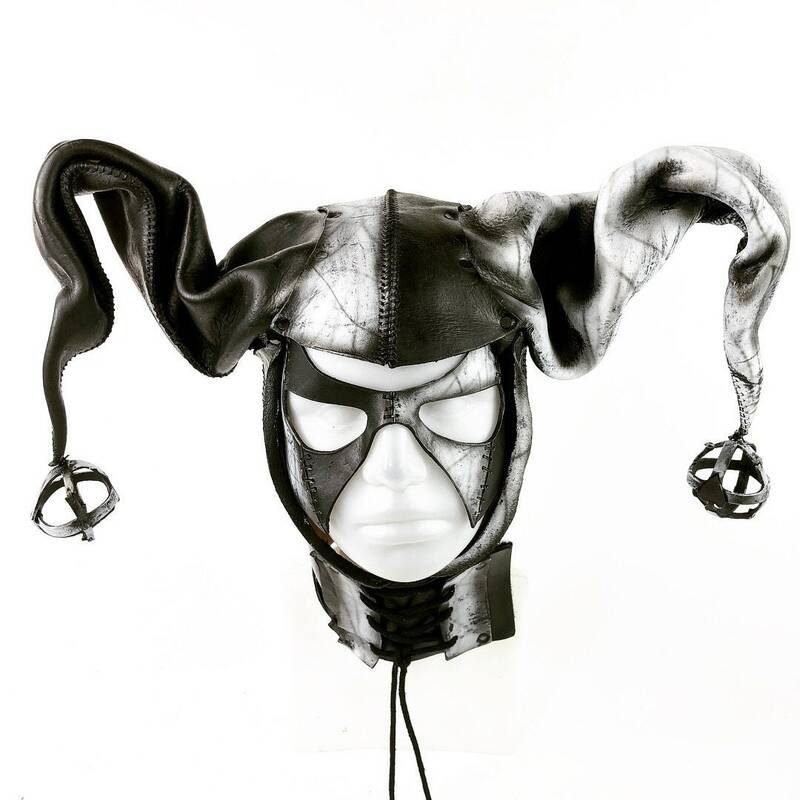 Inspired by a comic book great, this mask also suitable for a cosplay and costumes. 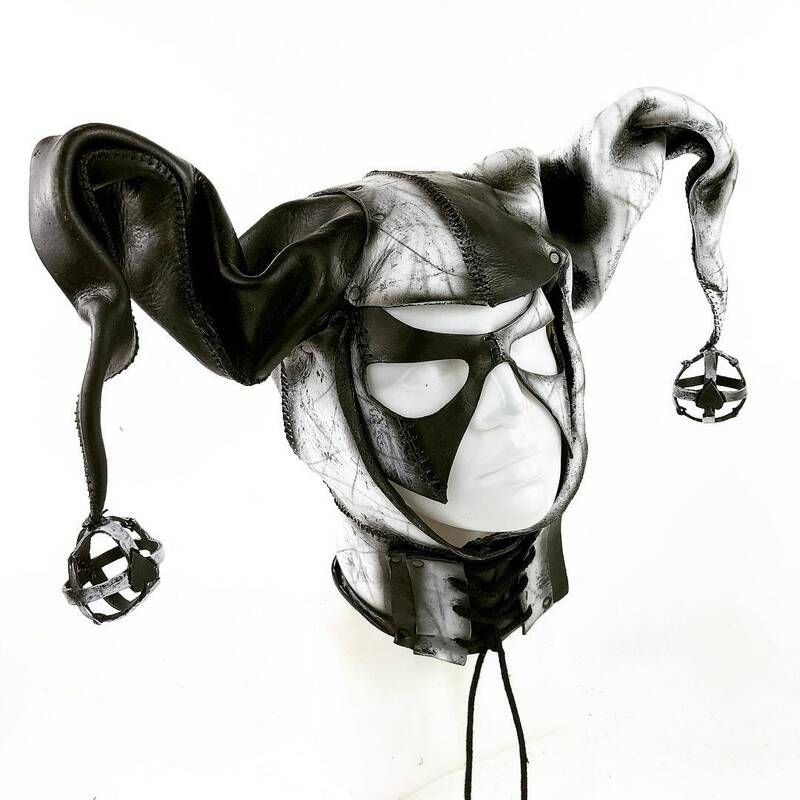 Perfectly dark for a Halloween costume as well.